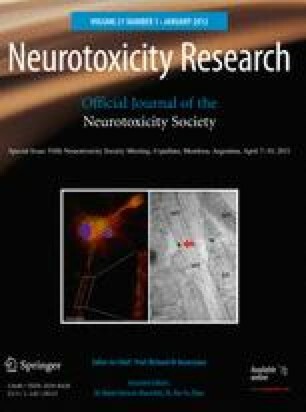 This article reviews evidence in support of the hypothesis that impaired activation of the extracellular signal-regulated kinases (ERK1/2) contributes to the disruptions in neurodevelopment associated with zinc deficiency. These kinases are implicated in major events of brain development, including proliferation of progenitor cells, neuronal migration, differentiation, and apoptotic cell death. In humans, mutations in ERK1/2 genes have been associated with neuro-cardio-facial-cutaneous syndromes. ERK1/2 deficits in mice have revealed impaired neurogenesis, altered cellularity, and behavioral abnormalities. Zinc is an important modulator of ERK1/2 signaling. Conditions of both zinc deficiency and excess affect ERK1/2 phosphorylation in fetal and adult brains. Hypophosphorylation of ERK1/2, associated with decreased zinc availability in cell cultures, is accompanied by decreased proliferation and an arrest of the cell cycle at the G0/G1 phase. Zinc and ERK1/2 have both been shown to modulate neural progenitor cell proliferation and cell death in the brain. Furthermore, behavioral deficits resulting from developmental zinc deficiency are similar to those observed in mice with decreased ERK1/2 signaling. For example, impaired performance on behavioral tests of learning and memory; such as the Morris water maze, fear conditioning, and the radial arm maze; has been reported in both animals exposed to developmental zinc deficiency and transgenic mice with decreased ERK signaling. Future study should clarify the mechanisms through which a dysregulation of ERK1/2 may contribute to altered brain development associated with dietary zinc deficiency and with conditions that limit zinc availability. This study was supported by grants from the University of California, Davis, and NIH (grant # HD 01743), USA.